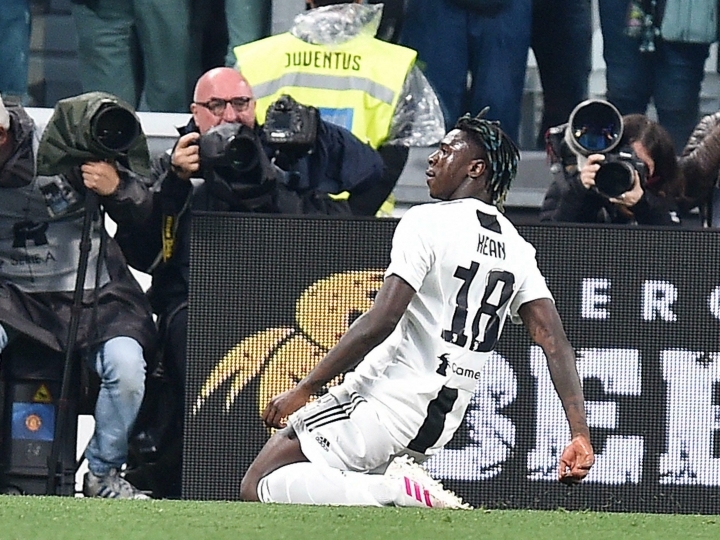 MILAN — Teenager Moise Kean has left Juventus within one win of retaining its Serie A title. 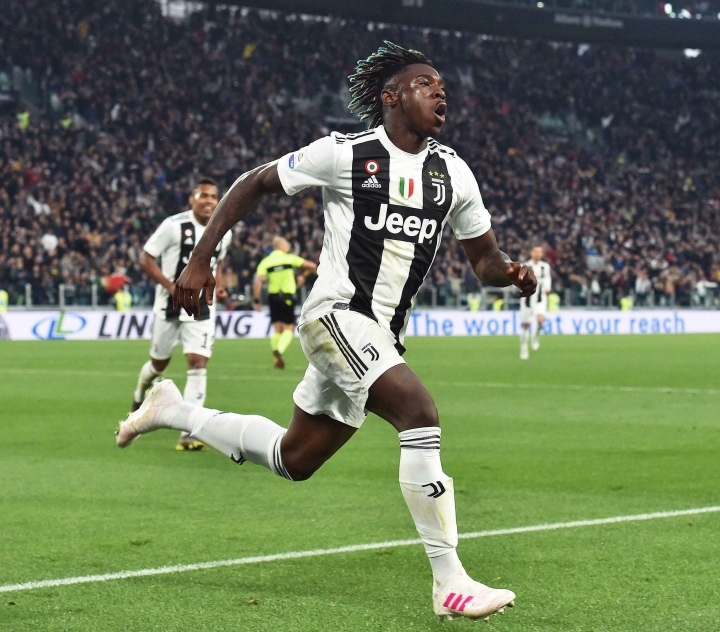 Kean, who was the victim of racist abuse during the week, came off the bench to score what was to prove the winner on Saturday as Juventus came from behind to beat AC Milan 2-1. It was the Italy forward's fifth goal in as many matches for club and country and has seen him stake a claim for a place in the starting lineup for the first leg of the Champions League quarterfinal game at Ajax on Wednesday, especially with Cristiano Ronaldo a doubt for Juventus as he recovers from injury. "We need to let him (Kean) grow," Juventus coach Massimiliano Allegri said. "We'll see if he plays on Wednesday, the substitutes are important and we saw that again today." 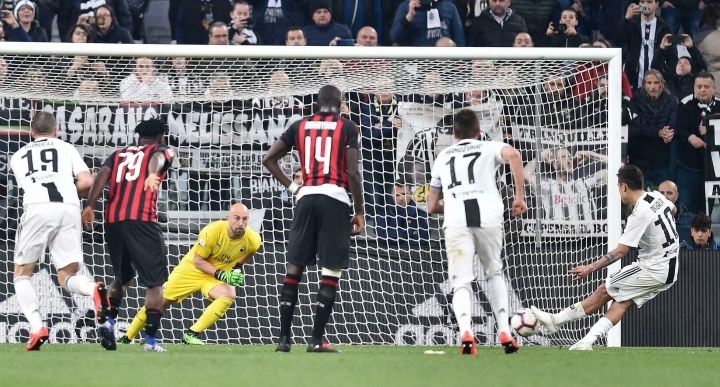 Paulo Dybala's penalty had canceled out Krzysztof Piatek's opener for Milan. Juventus moved 21 points clear of second-placed Napoli which hosts Genoa on Sunday. There are seven matches remaining after this weekend and Juventus holds the tiebreaker with a better head-to-head record against Napoli. 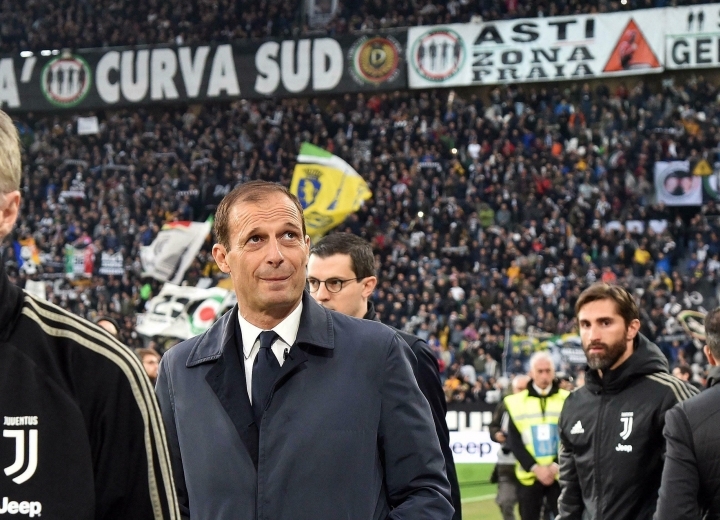 Defeat for Napoli on Sunday would hand Juventus the title this weekend. Even if Napoli wins, the Bianconeri would clinch a record-extending eighth successive Serie A crown with victory at Spal next Saturday. 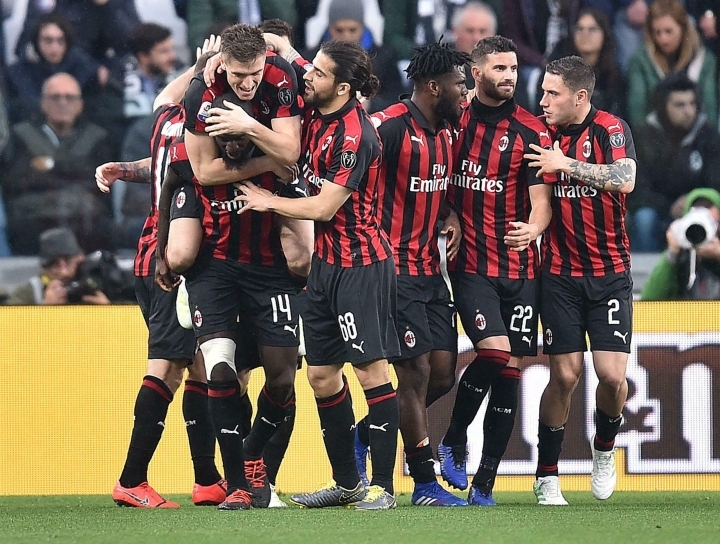 Milan dropped valuable points in the race for fourth spot and the final Champions League qualifying berth, which it currently occupies. The Rossoneri are one point above Roma and Atalanta, which visits third-placed Inter Milan on Sunday. Juventus had a poor first half and could even have given away a penalty. After viewing the incident on the pitchside monitor, the referee decided Alex Sandro's handball was involuntary. 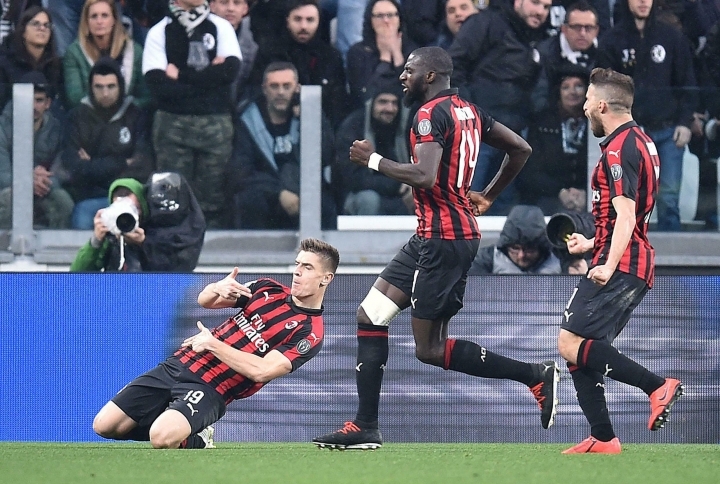 Milan took the lead moments later anyway as a pass by Leonardo Bonucci, who spent last year with the Rossoneri, was intercepted by Tiemoue Bakayoko and he threaded it through for Piatek. It was Piatek's 21st league goal this season, for Genoa and Milan, and moved him level at the top of the goalscoring charts with Sampdoria forward Fabio Quagliarella. 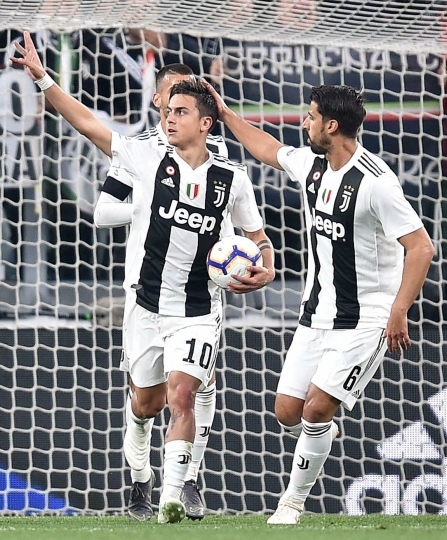 Juventus appeared more determined after the break and leveled from the spot on the hour after Mateo Musacchio barged over Dybala in the area. 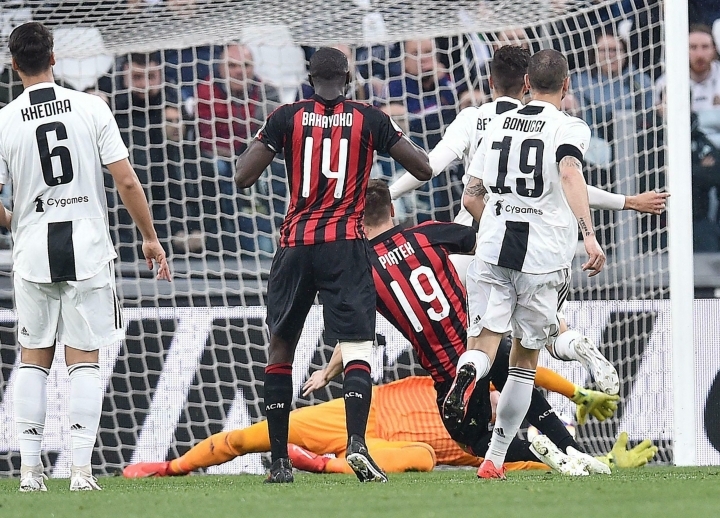 Musacchio made up for his error with a goal-saving tackle on Mario Mandzukic but Juventus did get the winner when Miralem Pjanic intercepted Davide Calabria's pass and set up Kean, who slotted it into the far bottom corner. There was to be no discussion about Kean's celebration this time round, in front of his own fans. Kean scored his team's second goal in the 2-0 victory at Cagliari on Tuesday and stood in front of the home fans with his arms outstretched, having been insulted by them all match. That was followed by a furious and openly racist response from some fans. Bonucci claimed teammate Kean was partly to blame for the response, prompting other European players to rush to the 19-year-old's defense. Roma boosted its hopes of qualifying for next year's Champions League with a 1-0 win at Sampdoria. Daniele De Rossi scored 15 minutes from time, sending in the rebound after Sampdoria goalkeeper Emil Audero had done brilliantly to keep out Patrik Schick's header. Torino is three points below fourth place after drawing 0-0 at Parma.